Change the words to the old song: The CREEK goes on forever and the party never ends! 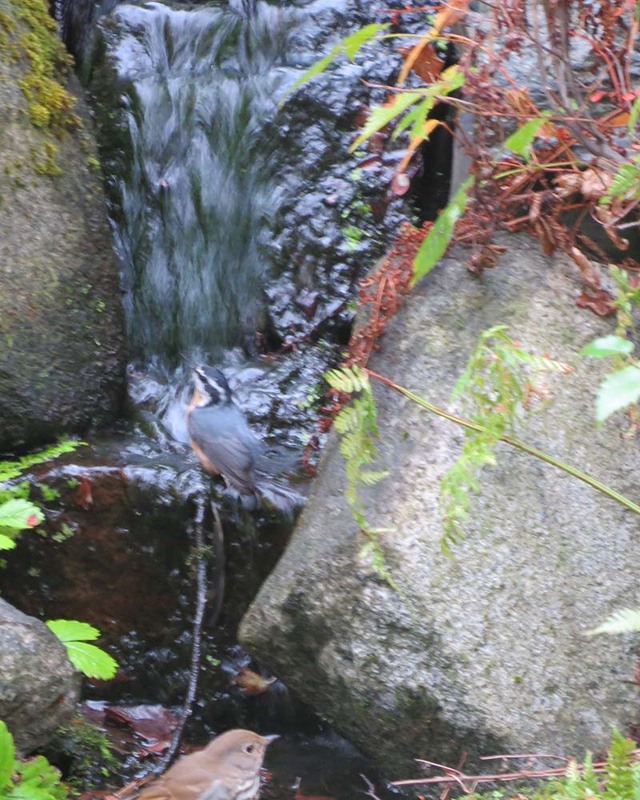 Some birds like to get right in the waterfall, like this Red-breasted Nuthatch. 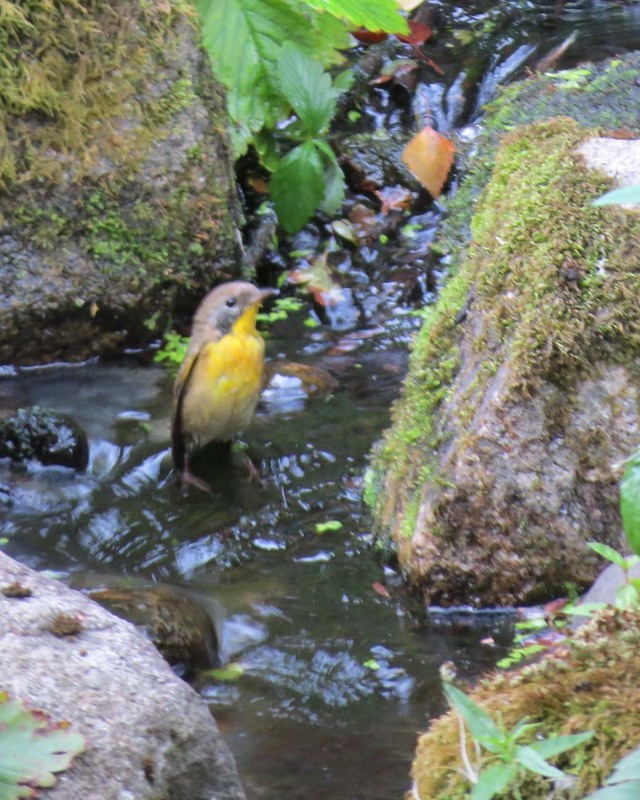 Notice the Hermit Thrush also taking a bath. 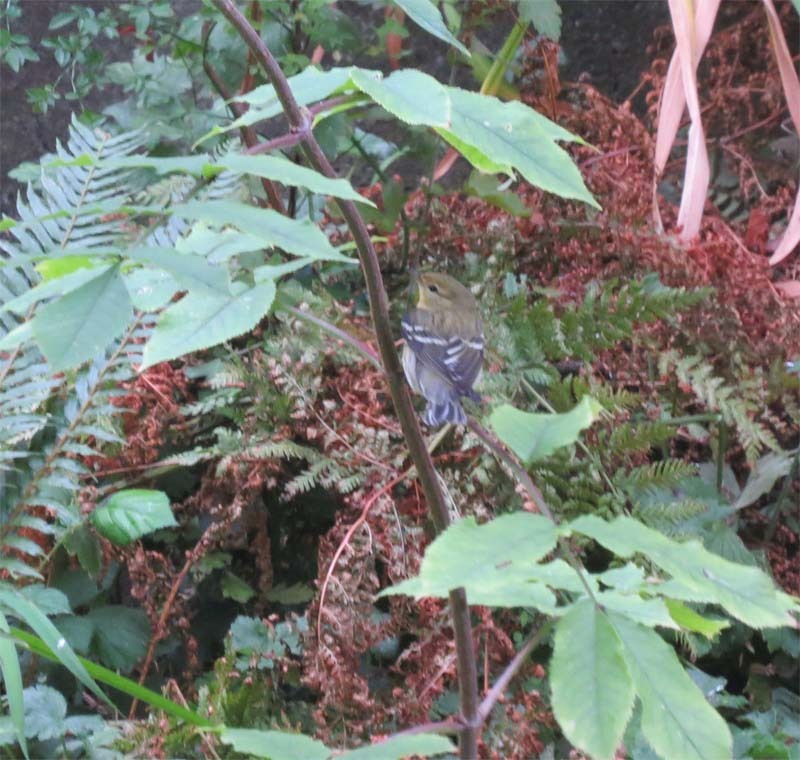 This male Golden-crowned Kinglet is bathing alone but came to the creek with his mate, who was nearby. ‘Gokis’ always seem to come in a pair, as do the Nuthatches. Meanwhile, at Butyl Creek, birds come and go and it empties out, but the party never really ends. 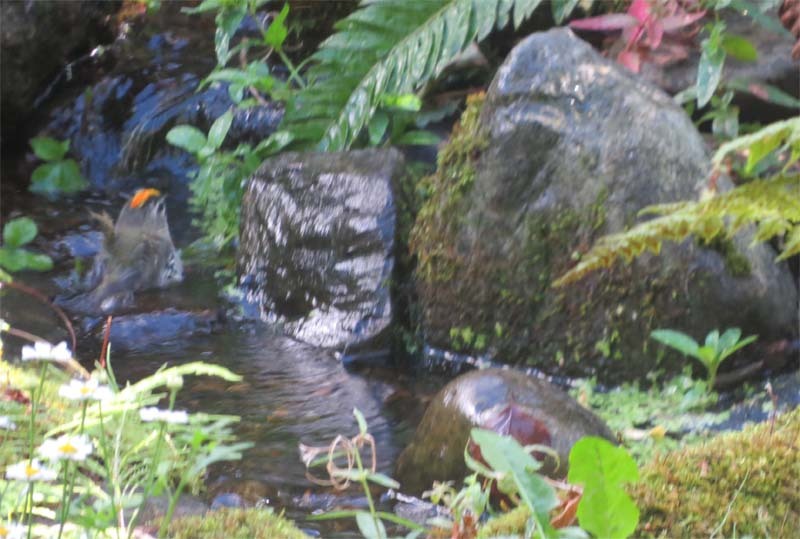 Seattle was plumbed in 1903, even the parks are plumbed, so neither birds nor children have access to real creeks or running water (except where they’ve been daylighted, Thank you Thornton Creek neighborhood!). 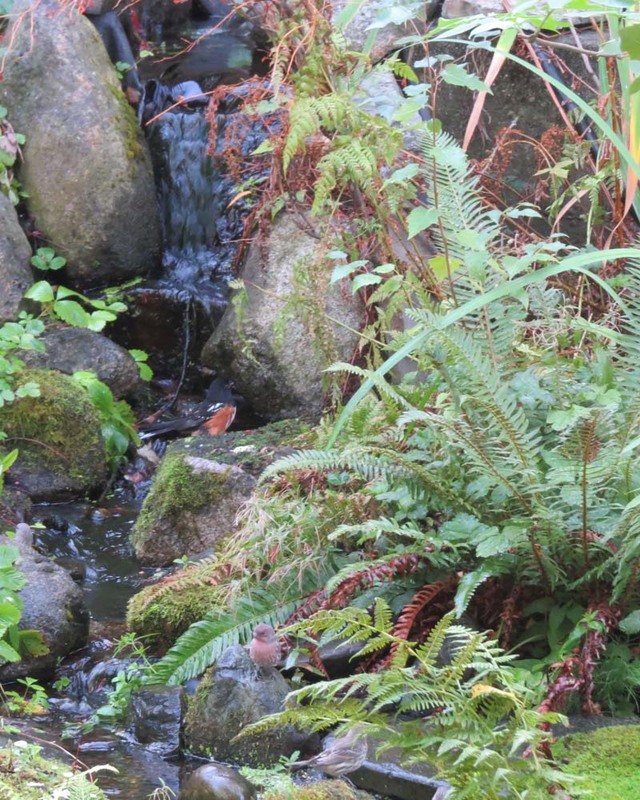 This shot shows a Spotted Towhee and two House Finch bathing this morning. The action seems to heat up at various times during the day, and admittedly there are stretches, even long ones, with no birds but sooner or later, another bird comes in driven by the very strong urge birds have to take a bath. 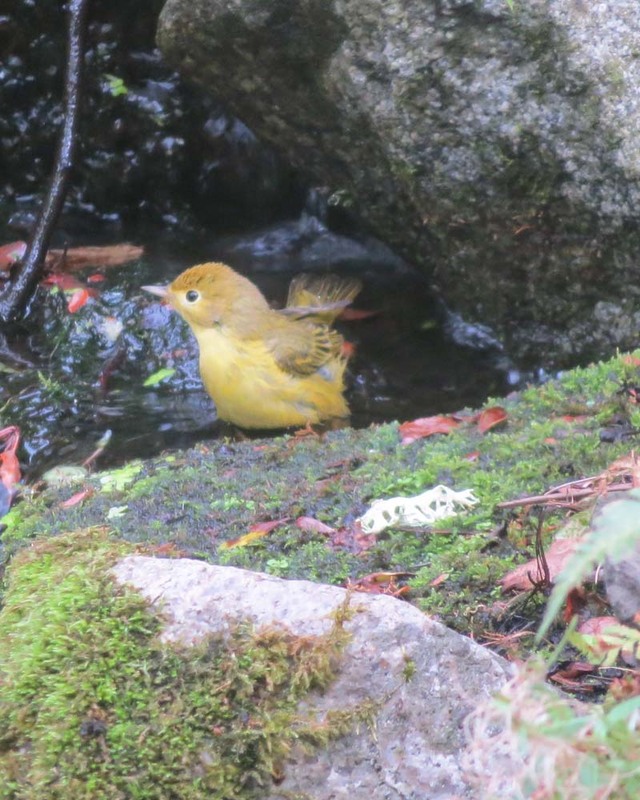 This is a Common Yellowthroat, not a rare bird, but only the second we’ve seen in our yard, that came to bath on Sept. 15. This was bird #54 for the yard for 2017, the Blackpoll was #55, tie for our all time record. 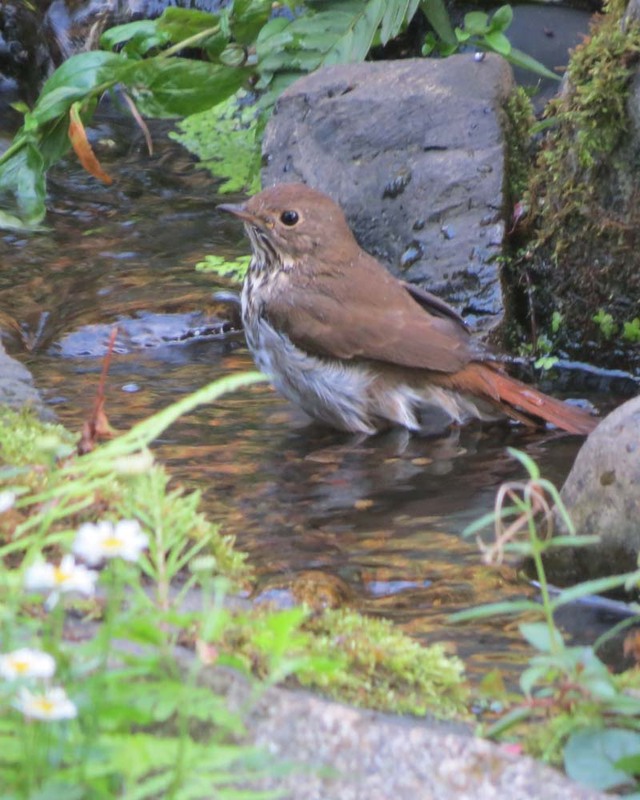 Multiple Hermit Thrush have been bathing daily, this handsome one two days ago. 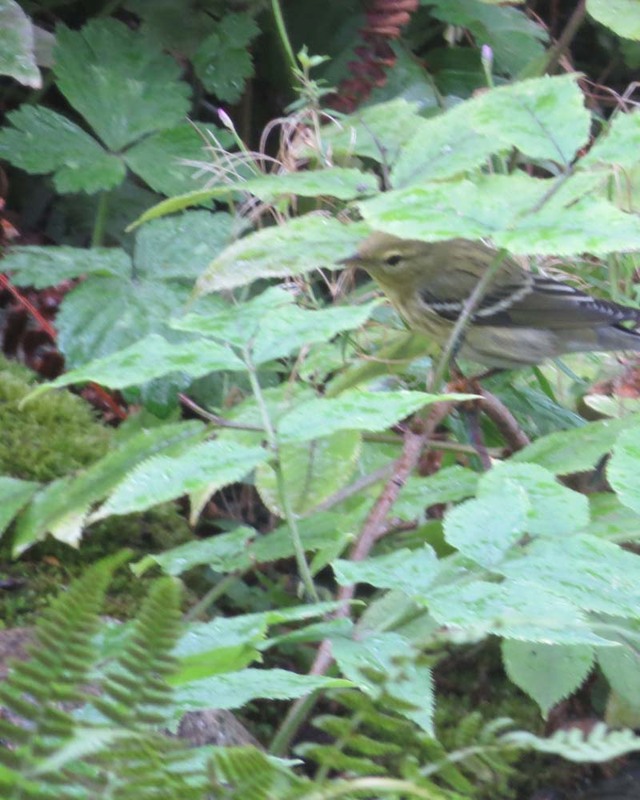 Ditto for Yellow Warblers. This individual, which has been around lately, seems unusually rusty on the forehead. Peregrine Falcon 1 spotted by Alan Grenon and observed by all of us from the back porch. On a distant power pole for 20 min ahead of dusk. 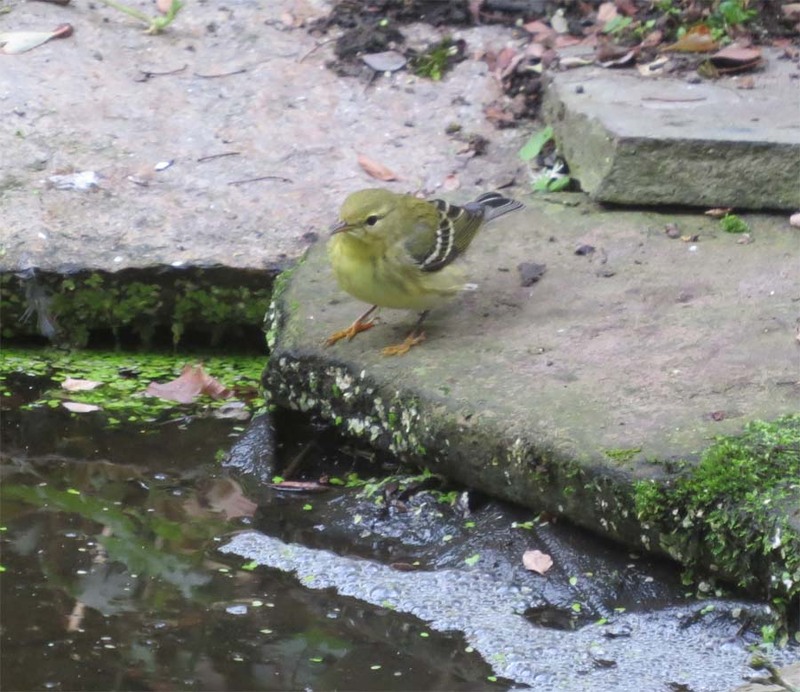 Warbling Vireo 1 light white and gray bird with no strong markings around the eye;”dive-bathed’ in creek pool, as we have observed on many previous occasions in this creek. MacGillivray’s Warbler 1 viewed for about 30-40 seconds bathing and ‘posing’ in creek; slightly faded adult male with dark gray head and bib, yellow belly, and short white very visible eye arcs. A short while later, upon hearing a distinctive hard dry chip, we identified this (or another) MacGillivray’s Warbler in the front yard. 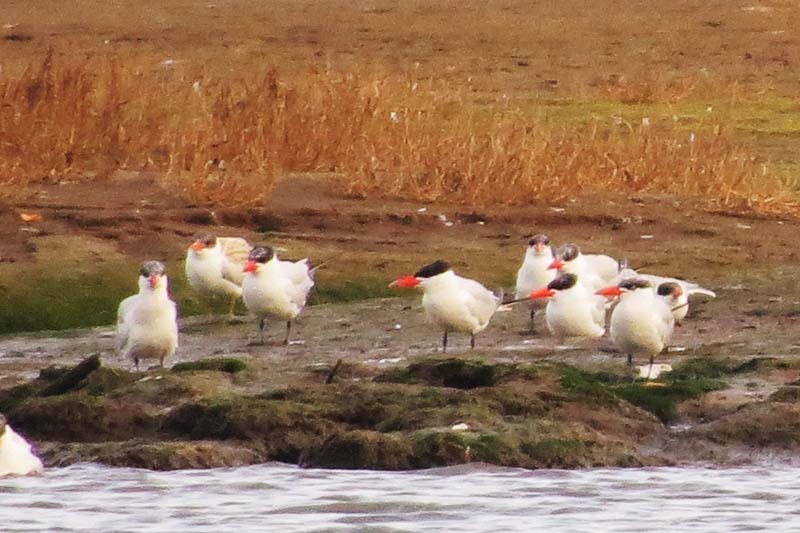 This is a good-news shot as it shows the Caspian Terns that have been cruising about over the Duwamish, the Industrial District, Lake Washington and Alki have been reproducing. Quite a few babies, which are the ones with the bald pate and scaly gray back. They peep while their parents growl like a Great Blue Heron.